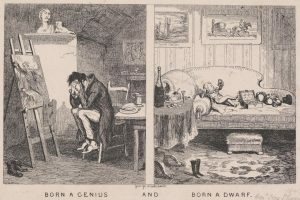 Below is the detailed biography of George Cruikshank, an English book illustrator known for his speciality in caricatures and cartoon drawings. He is best known for his illustrations of his friend – Charles Dickens books. George Cruikshank was born on the 27th of September 1792 in London. 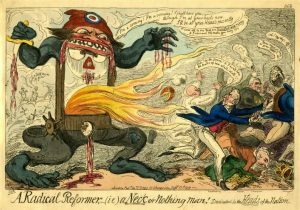 He was the son of the most celebrated caricaturist and painter of the 17th century – Isaac Cruikshank. Isaac was of an Irish origin. George started his career by apprenticing under his father and being his assistant. In his early 20’s until his early 30’s he was a cartoonist and a caricaturist and that was his primary source of earning. 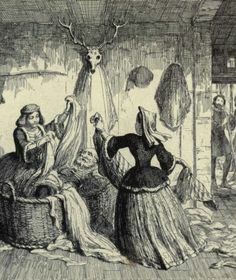 Later, in 1823, he started to make book illustrations. His first notable work was ‘Grimms fairytale’ which was an English storybook translated from German. 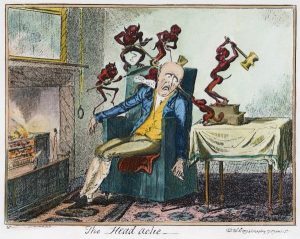 His caricatures mostly included the social and cultural aspects of a typical English lifestyle. His very controversial work was the ‘New Union Club’ which depicted a dinner party that displays an African Institution that seems to get more drunken as the night passes. The idea of racism is being abolished with an interesting mix of emotions and situations. 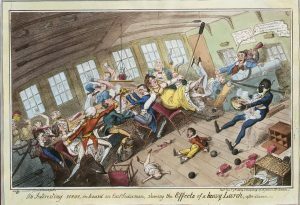 in the year 1819, he worked with William Hone, an English writer and bookseller, in his political satire ‘The Political House That Jack Built’. He also produced his own ‘Pierce Egans Life in London’ in 1821 and modelled the characters, Tom and Jerry. 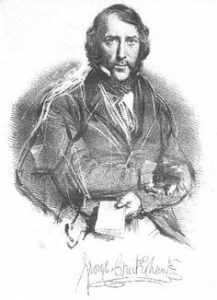 ‘Omnibus’ is his well-known work in 1842. His speciality was the hilarious depictions of the political situations in London with an element of sarcasm that people enjoyed. He was known to be bribed by the royal authorities to avoid any caricatures of King George IV. He received a bribe of 100 pounds. He illustrated many books for Charles Dickens. His first was ‘Sketches by Boz’ in the year 1836. 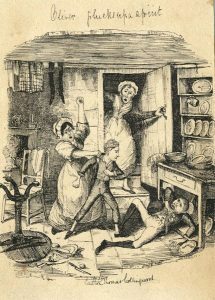 The following year, he illustrated ‘The Mudfog papers’ and then the very famous ‘Oliver Twist’ in 1838. Later, in 1871, he claimed to have been credited for many characters and plot in Oliver Twist in a letter he published in ‘The Times’. However, Charles Dickens denied any claims. He even acted in many of Dickens theatre companies just as a hobby and out of the friendship he shared with Dickens. Later, in the 1840s, George focused less on illustrations and became much more involved in promoting the idea of temperance which is a movement against the consumption of alcoholic beverages and anti-smoking. He himself was someone of a recovered alcoholic and now joined the movement. He lectured in the National Temperance Society and Total Abstinence Society which are institutions that work for the eradication of alcohol and promoting a healthy lifestyle in the UK. His main contributions to these societies were his supply of illustrations on these topics like ‘The Bottle’ which is a series of 8 plates published in 1847. They were produced with low cost and quality materials so that the masses of the lower class could afford to have them. Other than that, expensive additions were also available. In the following year of 1848, another series of 8 plates were published by him called ‘The Drunkards Children’ and later ‘The Worship of Bacchus’ in 1848 which is an artwork of oil painting that today lies in the Tate Gallery of London. In 1859, he was the organising member of the RVC, that is, the Rifle Volunteer Corps or RVC’s. They worked for the Volunteer Movement of 1859. In 1862, he again organised an RVC in Middlesex which was the 48th one. George married Mary Ann Walker at the age of 35 in the year 1827. 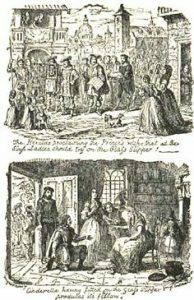 He remarried after two years to a woman named Eliza Widdison with who he lived in the North of London. He is known to have 11 illegitimate children from another woman. Throughout his lifetime, he is known to have produced more than 10000 prints, plates and illustrations that are exhibited today at the Victoria and Albert Museum and the British Museum. He has been an influential artist of the Victorian era in the field of caricature. In the later years of his life, George Cruikshank developed palsy which demeaned the quality of his work and the velocity of his work. He died on the 1st of February 1878 and was buried in the Royal Borough of Kensington in London. Later, his remains were relocated at St Paul’s Cathedral.